A high-deductible health plan (HDHP) is a health insurance plan with lower premiums and higher deductibles than a traditional health plan. Being covered by an HDHP is also a requirement for having a health savings account. Some HDHP plans also offer additional “wellness” benefits, provided before a deductible is paid. High-deductible health plans are a form of catastrophic coverage, intended to cover for catastrophic illnesses. 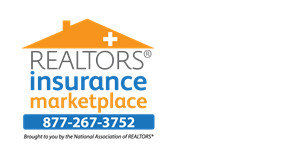 Combining a supplement plan such as the REALTORS® Core Health Insurance plan with a High Deductible Health Plan (HDHP) can lower the cost of your overall insurance premium and might even increase your health benefits. You are able to supplement the plan with another insurance plan which offers benefits which the Catastrophic plan lacks. In the United States, participation in a qualifying HDHP is a requirement for health savings accounts and other tax-advantaged programs. As of 2012, HDHPs are plans with a minimum deductible of $1,200 per year for self-only coverage and $2,400 for self-and-family coverage. The maximum amount out-of-pocket limit for HDHPs is $6,050 for self-only coverage and $12,000 for self-and-family coverage. (However, according to the instructions for IRS form 8889, “this limit does not apply to deductibles and expenses for out-of-network services if the plan uses a network of providers. Instead, only deductibles and out-of-pocket expenses for services within the network should be used to figure whether the limit is reached.”) The Internal Revenue Service released the 2010 amounts on May 15, 2009, which will be modified each year to reflect the change in cost of living.